Fungi are ubiquitous and nearly 1.5 million fungal species exist in the universe, but only few fungi were known to be pathogenic to humans. The temperature of 37 °C, low redox potential in tissues and immune barrier prevent majority of fungi from invading human hosts. 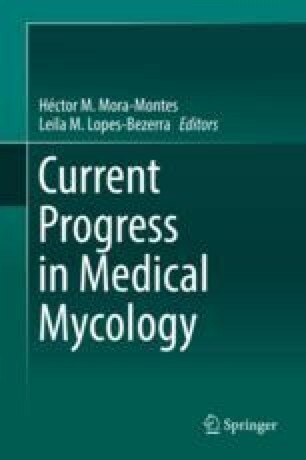 However with the change of host environment due to co-morbidities, several saprophytic fungi get the opportunity to adapt to human tissue. The impact of modern medical interventions and fungi adapting to this environment are reasons why many fungi are now known to cause invasive human disease. Fungal infection in humans varies from superficial colonization to invasive diseases and allergic manifestations; each group associated with unique risk factors. Impact of the global burden of fungal infections is often overlooked and estimates are often extrapolations of limited available data. There is also wide variation in the geographical niches occupied by fungi across the world for reasons largely unknown. Natural disasters also contribute to the upsurge of invasive fungal infections. The severity of infection closely parallels a suppression of immunity. Invasive fungal infections are important causes of morbidity and mortality of hospitalized patients. Diagnosis of these fungal infections is often a challenge due to poor sensitivity, specificity and long turnaround times of conventional diagnostic methods. Availability of advanced, rapid technologies is sparse in the majority of laboratories in developing countries. Several biomarkers and molecular techniques are being studied to reduce these turnaround times. In spite of availability of new antifungals, therapy is often empirical due to rapid progression of disease and non-availability of early diagnosis. There is no ideal antifungal agent. Limited spectrum, drug-interaction, toxicity and cost of antifungals are limiting factors. A brief description of these challenges is presented in this introductory chapter. The authors would like to thank Dr. Ajay Padmanaban for the illustrations.